Discussion in 'Stock Advisory Services' started by Red Devil Manan, Jan 11, 2019. 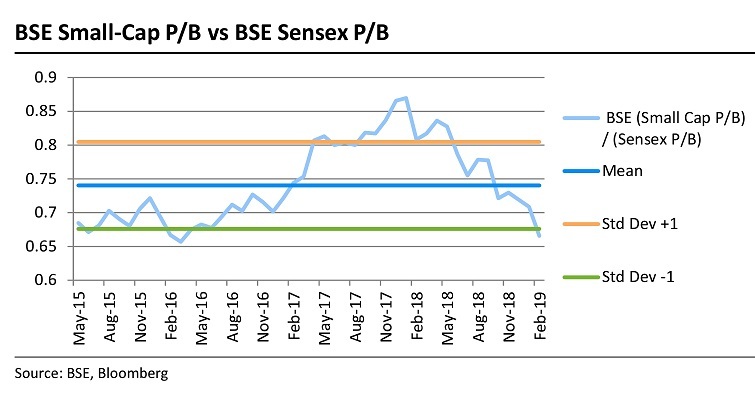 As per expectation of moves today markets are expecting a rate cut, FII's have pumped in 10,000 Cr +, bears trapped and BJP possibly to come into power. If this tends to look brighter and brighter everyday, the market will not stop. This seems to be the first leg where good quality stocks are moving. Mid caps should catch up soon. People still seem very doubtful that this can sustain, but the screen is pushing higher and higher. I have seen in the past , till people are doubtful and markets are pushing higher, they will continue to make new highs. When everyone gets greedy, that is the time to sell. There is still doubt in investor's minds, buy till everyone reaches a consensus bull psychology. The US 3 month yield jumped on Friday above the 2, 5 and 10 year yield. There is a 95% probability that this indicator holds true and the market which forecasts the US goes into recession. However no one can predict the lead time, can be 6 months or can be 2 years also on average before this is done.However i have seen there is a laggard relationship between these indicators and the equity markets. My thinking is, if everyone expects a recession, it is already priced into the market, unless we get an unknown unknown development which can accelerate the panic. I CHOOSE TO BE A BUYER IN THIS MARKET AS THERE IS STILL FEAR ON THE STREET. Markets seem to be good, things look rosey, people are still scared waiting for elections, go and buy till then. FII's have pumped in 20000 cr already into markets, the highest in a year in Indian Markets is 60000 Cr. Can we break it? I believe if Modi wins with majority, markets will go higher but the smart people will sell post that and take some money of the table. My thesis is crowd will wait for confirmation of Modi to pump in money. This will be the dumb money is who sitting on the sidelines right now waiting for confirmation. Who knows what the future holds, but this is the psychology of the crowd right now. If new facts emerge my thought process changes as well. Its been a while since have updated. I have been distancing myself from the market since i do not want to get biased. I still believe people are sitting on the sidelines and their money will only come once BJP wins. I put a 70% probability that modi can win, but i am not going to predict the future as it is just stupditiy. My logic is simple, till people get scared when the market corrects, keep adding capital. Good companies are on a roll. Consumer and IT have not participated in this rally , good proof that the bulls are here. I would prevent shorting stocks for now. Yesterday's rate cut was priced in by the market, the market is much smarter than all of us.It is telling me it is ready to move higher, all it needs is the push. I cannot say what the trigger is but i am sure this will bring the dumb money into play. I am still a buyer at highs, i strongly believe the market is ready to make lifetime highs. Risks are the bond yeilds in the USA. There is discrepancy between the Bond Market and the Dow jones. Bonds usually are right 9 out of 10 times so i do hope no unknown unknown comes into play. It is fear and greed which drives markets.Nothing else. There is still fear and that gives me good comfort. Spot on. I wish more people were available to retail investors so they understand how markets work. Hope you guys are doing great. It has been a while since i wrote here as i was trying not to focus to much on markets so i could let my profits run. The point i want to focus today is a lot of people are getting impatient. They are seeing the markets moving higher but not their portfolios moving much. Why? Because everyone is stuck in midcaps and small caps and not many have large caps. Think about it. From 2013 to 2017, the rally was lead by small and mid caps, not large caps, all the dumb money went there while the smart money sold . Now all the smart money is come in the large caps while the dumb money is still in mid and small caps. Of course, this will change in time, i bet some idiots already started selling few stocks to move to large caps but i can assure you in time, they will come to mid caps again. This is pure Psychology in a bull market. First the big boys move, then the medium ones and last come the small caps. I believe aviation has become a bit crowded with all the fake investors flocking towards it. I see the same pattern in Sugar as well. For me this is the dumb money and when the dumb money starts entering this space it is time to leave. Of course i can be wrong but this is the way i have always managed risk. Coming to markets , alot of people are sitting on the sidelines still i believe. Since markets have ran up quite a bit, they all are expecting a correction which will not happen, since there is liquidity to be pumped into the system. As participation increases, so will stock prices. All the dumb money people have been saying its gone to fast, its too high, elections are there, it will come down, all that i have seen is just utter nonsense. Think of the market like being on a train station platform. If you go against the crowd, the crowd will stomp you, by trying to go against it. But there are times when you should have indicators seeing where the crowd can possibly turn. You must start betting against it and when it turns, they will take you to their destination, however you must know when to get out. The market right now is saying with every indicator it wants to go up. People are still cautious. I asked a lot of my friends, if you had 1 Crore would you invest it today, a lot of them said no. That gave me more confidence to pump more money since i know all these guys will come when they see certainty. However markets work on expectations, not certainty. Right now the expectation is simple. If Bjp comes the market will go up, if congress comes the market will go down. Risk averse people which most people are , will be sitting on the sidelines( Dumb Money) because they need confidence to put money.Ultimately it is the dumb money which moves markets violently, not the smart money. This rally has been good, let the market cool, i liked there is some correction , gives a good opportunity to enter good names.